After almost a decade, this London-based Funeral Doom institution returns to their musical roots with a 60-minute cinematic journey through obscure and atmospheric landscapes. A pantheist is someone who believes that God and the universe are the same, or in other words, that “All Is God”, as pantheism literally means “God Is All” (pan means all and Theos means God when translated from Greek). Brought to life in the year 2000 in Antwerp, Belgium by vocalist and keyboardist Kostas Panagiotou, but currently based in London, England, the dark and vile Progressive/Funeral Doom Metal entity known as Pantheist, one of the standard bearers of the Funeral Doom sound, is among us to prove that “All is Doom” with their brand new opus entitled Seeking Infinity, their fifth full-length album and their first release in seven years. Seeking Infinity is a 60-minute cinematic journey through Funeral Doom landscapes, a decisive return to Pantheist’s musical roots whilst still incorporating the atmospheric and progressive elements that have become an integral part of their sound over the years. The long journey leading to the creation of this album started all the way back in the summer of 2012, when Kostas announced to his then band members an outline for a new concept album. A lot of things have changed since then and the concept and sound have evolved dramatically until the creation of the album; however, despite the changes, the philosophy behind this concept album and its singular purpose have remained intact. Recorded, mixed and engineered by drummer Daniel “Dan” Neagoe (Shape of Despair, Clouds) and enhanced with the enchanting artwork of the band’s visual artist Cheryl, the album sounds and looks both modern and familiar, surely to fill with nostalgia fans of old-school traditional Funeral Doom/Death Metal, while also drawing to its mystical sound new followers for the years to come. An ominous intro named Eye of the Universe keeps growing in intensity, with an eerie and somber narration setting the stage for the sluggish, obscure and visceral Control and Fire, a lesson in Funeral Doom with Kostas sounding demonic with both his deep growls and his phantasmagorical keys, while Dan keeps the rhythm as lugubrious as it can be with his slow and potent beats, being effectively supported by Frank Allain and his slashing riffs, with the music flowing darkly and smoothly until 500 B.C. to 30 A.D.- The Enlightened Ones comes crushing with its beyond atmospheric start on the piano, complemented by its cryptic words darkly declaimed by Kostas (“You can run, but you can’t hide from the quiet flow of time / the dark tentacles of fate push you towards your destiny / and when you think you are free to live your life as you please / you’ll find you’re nothing but a pawn of history / There is a fire, a desire in my head / eat my battered body, drink my wasted blood / and tell me endless tales of who I am: / the man who feels inside him that change has come”). Put differently, this is a funeral march of metal music tailored for admirers of the genre, with its second half getting creepy and enigmatic, beautifully exploding into classy Blackened Doom. 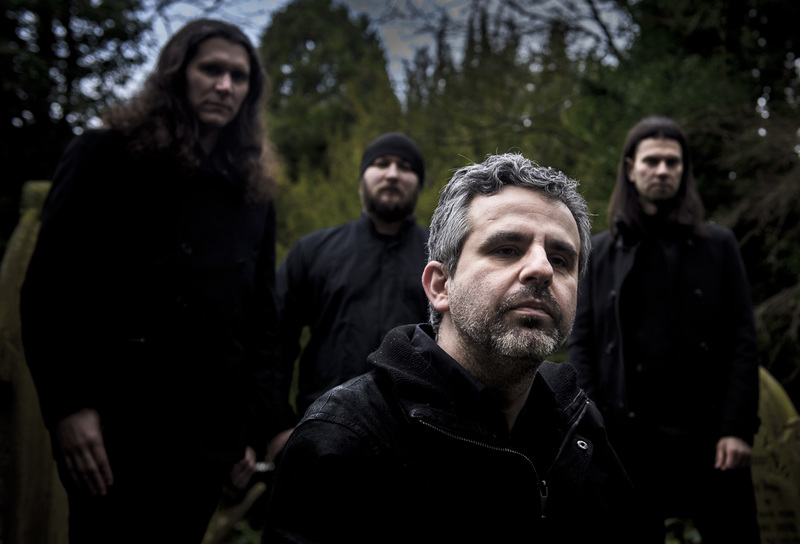 Amidst obscure background elements and nuances, the acoustic guitar by guest Pete Benjamin (Voices, Akercocke) kicks off another multi-layered feast of Doom Metal by Pantheist titled 1453: an Empire Crumbles, also showcasing the deep Gregorian chant-inspired vocals by the other guest Andy Koski-Semmens (Syven, Pantheist), offering the listener six minutes of what can be called a Stygian and mesmerizing mass. Then the serene keys by Kostas are the main ingredient in the also slow and dense Emergence, with the low-tuned bass lines by Alexsej creating a menacing ambience in paradox with the delicacy of the piano notes. 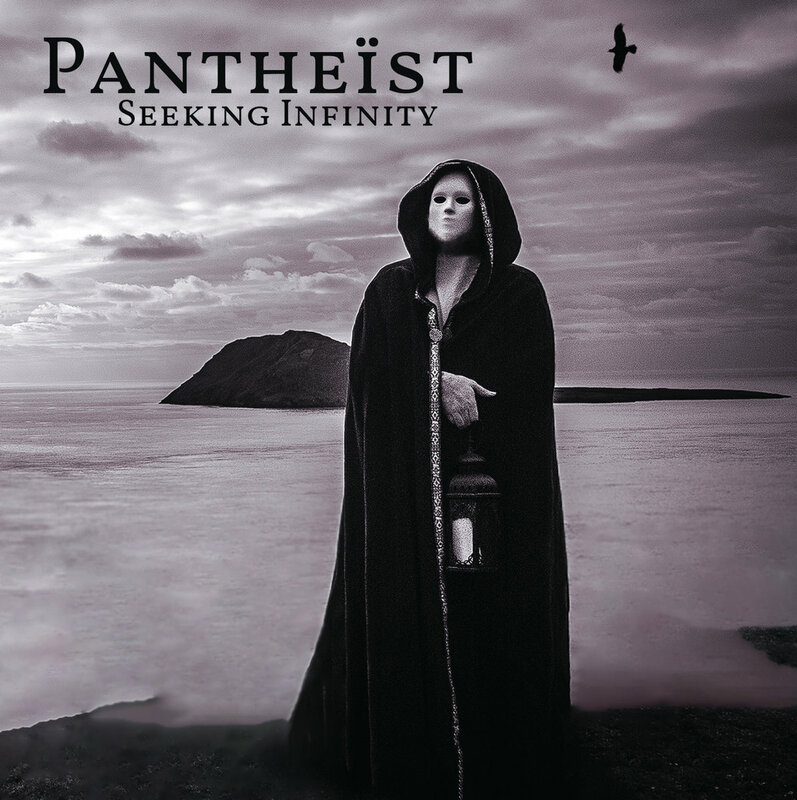 In other words, Pantheist will crush your senses mercilessly throughout the entire song in the perfect depiction of how visceral and vibrant Doom Metal can be. And lastly we have Seeking Infinity, Reaching Eternity, another deep and full-bodied display of Funeral Doom led by Kostas’ anguished roars and church-like keys, giving life to the song’s imposing, poetic lyrics (“I hear the sound of horns, I see a beast appearing from the sea / it has ten horns and seven heads / looks like a lion, like a leopard it crawls / I stretch out my shaking hand / and touch the body of the dancing Shiva / I want to scream, but I can’t / instead I cry, shake and shiver”), with Dan pounding his drums in perfect sync with Frank’s harmonious and fierce riffs and, therefore, keeping the atmosphere vibrant and thunderous until its climatic finale. Pantheist are a Funeral Doom institution that’s certainly worth a shot, no doubt about that, and the extremely high quality of the music found in Seeking Infinity is a solid statement that this very talented band is here to stay, living up to the legacy of all classic and old school Doom Metal, Funeral Doom and Blackened Doom bands from all over the world. Having said that, I highly recommend you follow the band on Facebook and subscribe to their YouTube channel for more details about them and to enjoy more of their music. And, of course, purchase your copy of Seeking Infinity from their own BandCamp or webstore, from The Vynil Division’s BandCamp or webstore, from iTunes or from Discogs, and may the somber and lugubrious sounds and tones blasted by Pantheist permeate your thoughts whenever you visit the darkest corners of your mind. Best moments of the album: 500 B.C. to 30 A.D.- The Enlightened Ones and Emergence. This entry was posted in 2018 New Releases and tagged 1453: an empire crumbles, 500 b.c. to 30 a.d.- the enlightened ones, aleksej obradović, andy koski-semmens, antwerp, belgium, blackened doom, cheryl, control and fire, dan, doom metal, emergence, england, eye of the universe, frank allain, funeral doom, funeral doom death metal, funeral doom metal, kostas panagiotou, london, melancholic realm productions, pantheist, pete benjamin, progressive doom metal, seeking infinity, seeking infinity reaching eternity by Gustavo Scuderi. Bookmark the permalink.